As the population ages, elder financial abuse is a mounting problem. 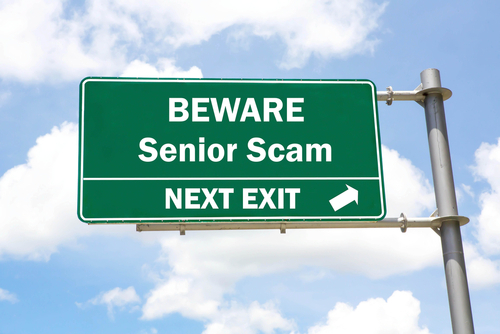 Vulnerable seniors can become victims of scammers who convince them to empty their investment accounts. According to the Financial Industry Regulatory Authority (FINRA), the organization that regulates firms and professionals selling securities in the United States, its Securities Helpline for Seniors has received more than 12,000 calls and recovered more than $5.3 million for seniors whose investment funds were illegally or inappropriately distributed since the helpline opened in April 2015. Now, FINRA has issued two new rules designed to help investment brokers or advisors better protect seniors’ accounts from financial exploitation. The rules, which went into effect in February 2018, apply when opening a brokerage account or updating information for an existing account. Prior to the new rules, issues of privacy prevented a broker from contacting family members when suspicious activity was detected, and under previous FINRA rules brokerage firms risked liability for halting suspicious transactions. To read more about the new rules, click here. For Frequently Asked Questions about the new rules, click here. This entry was posted in Caring for Aging Parents, Continuing Education, Elderly and The Youth, Elderly Health, Legal News, Seminars, Senior Tech, Uncategorized. Bookmark the permalink.